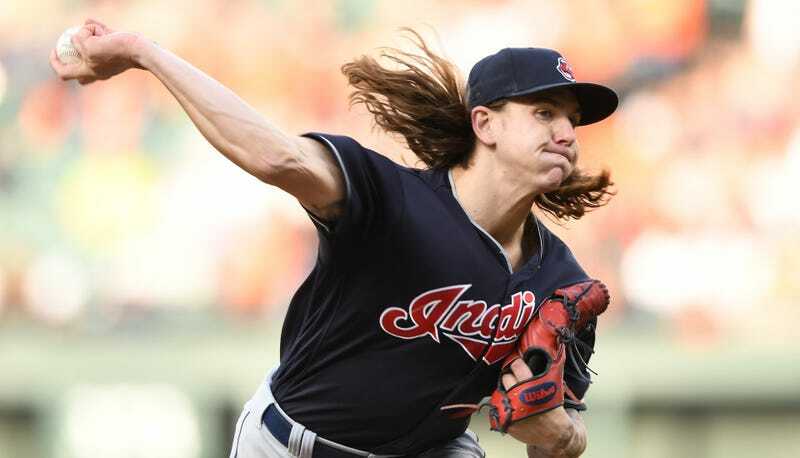 Mike Clevinger recently wore some cleats embossed with a pretty chill custom cosmic elephant paint job that artist Jonathan Hrusovsky characterized as having a “#bohemianelephant” vibe. Because Clevinger dared to have a little fun with his footwear and deviate from Rob Manfred and MLB’s idea of propriety, he received a stern letter from the league notifying him that he’d violated a rule barring players from having “alterations, writing, or illustrations” on his uniform. He’ll be fined again if he wears elephant shoes. Damn, I wonder if Clevinger is going to let this get him down? Will this be another victory for the staid all-business MLB? Happy Mother’s Day weekend indeed.